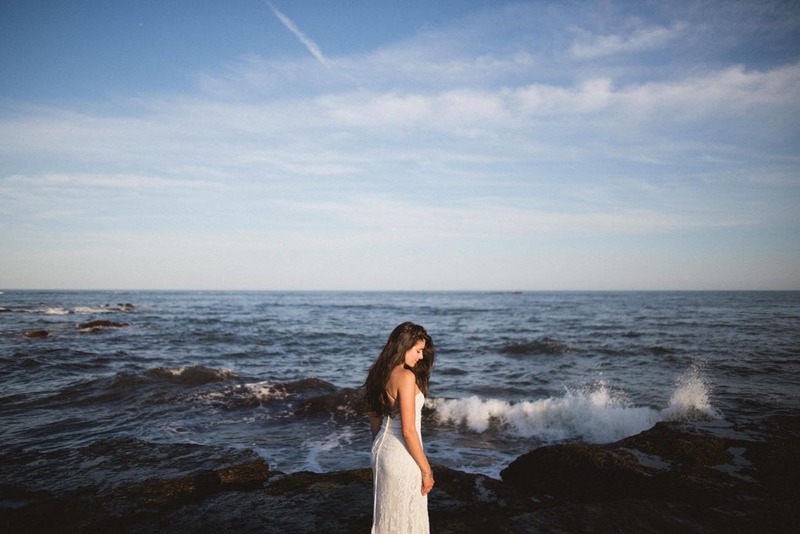 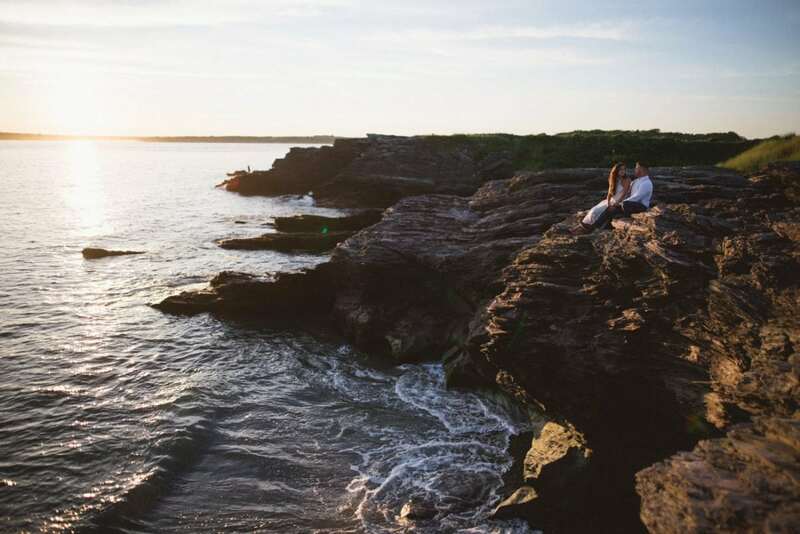 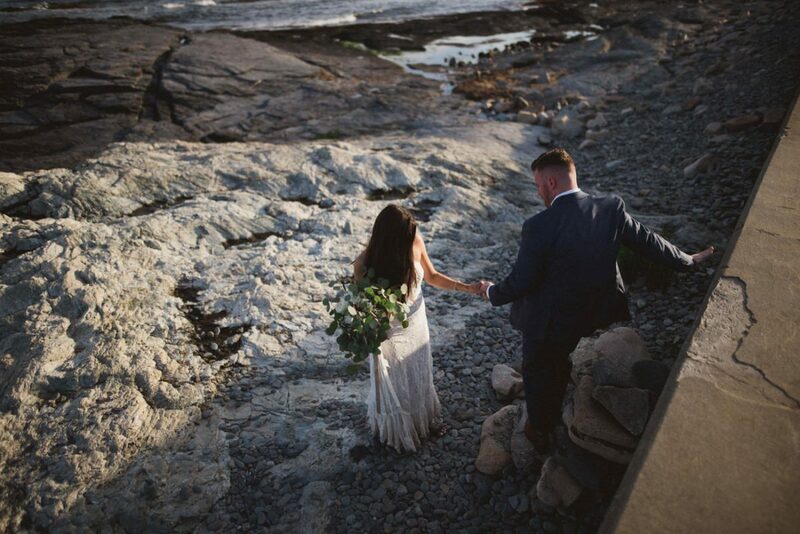 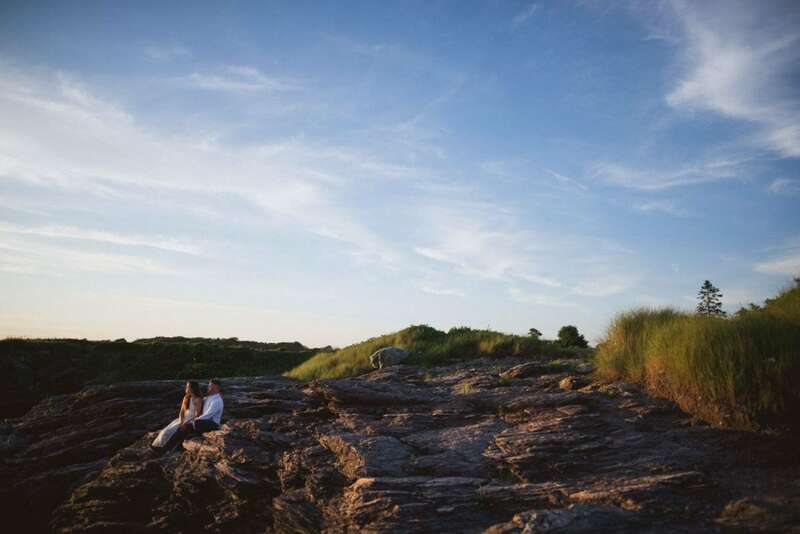 A Destination Rhode Island Wedding – From Boston and Italy to Newport, RI! 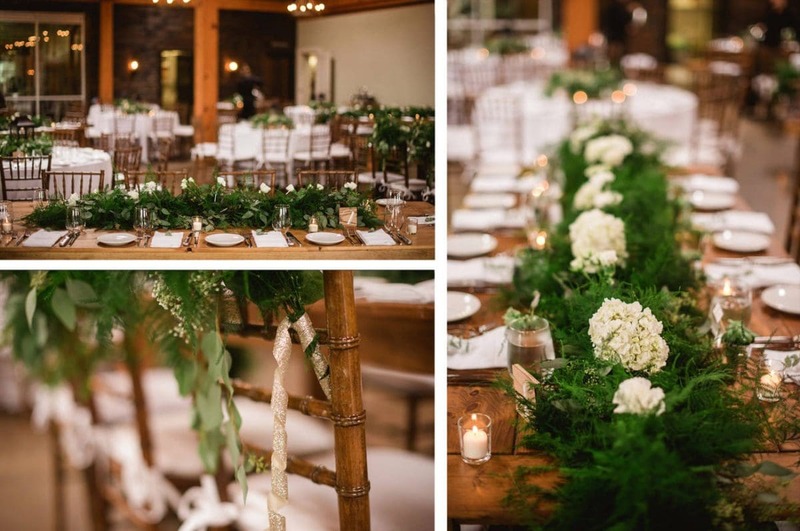 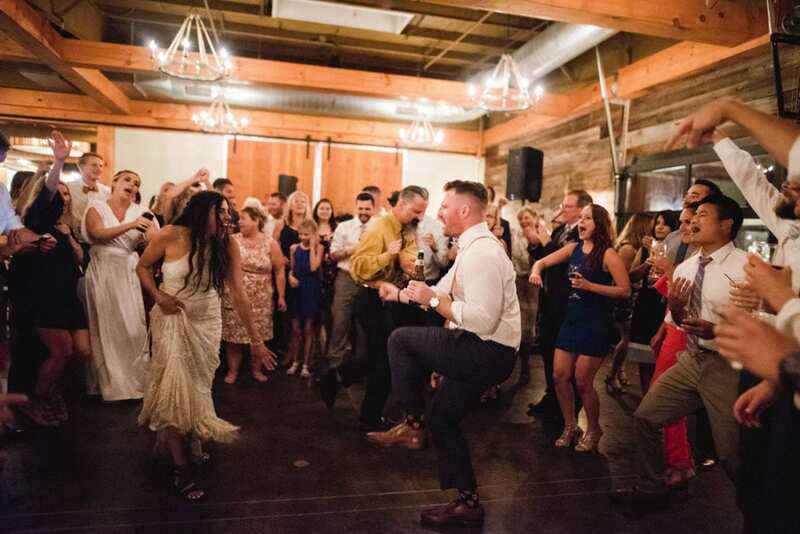 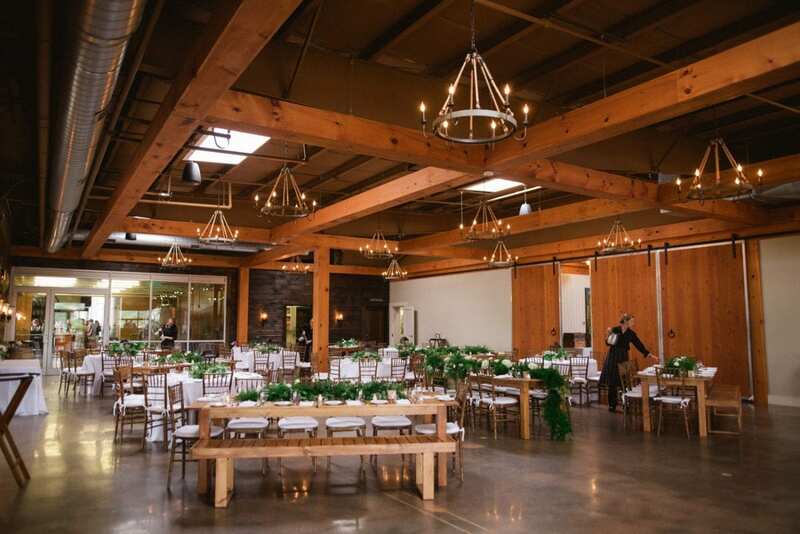 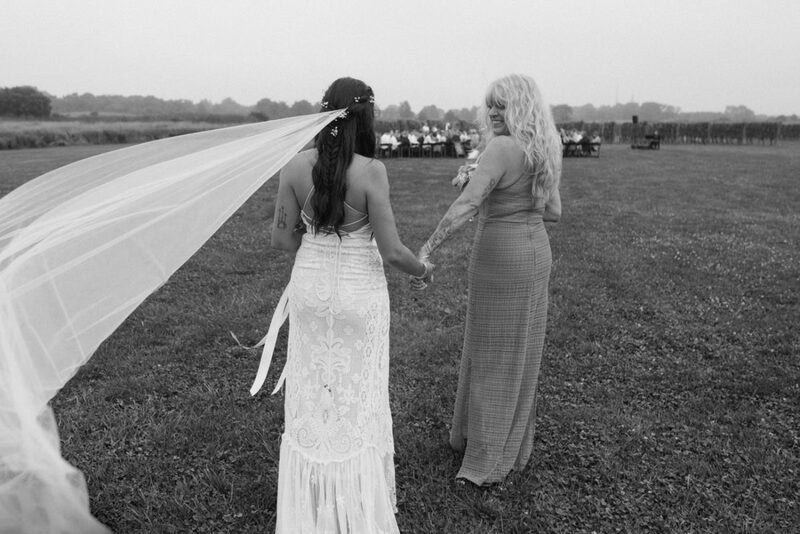 I am obsessed with this wedding! 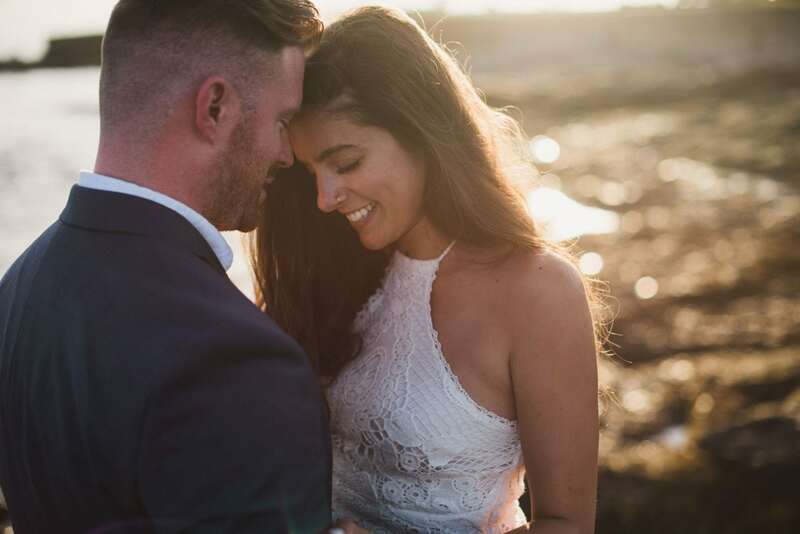 I met Kasey and Chris as he proposed to her in Venice, and I shot their engagement session in the city. 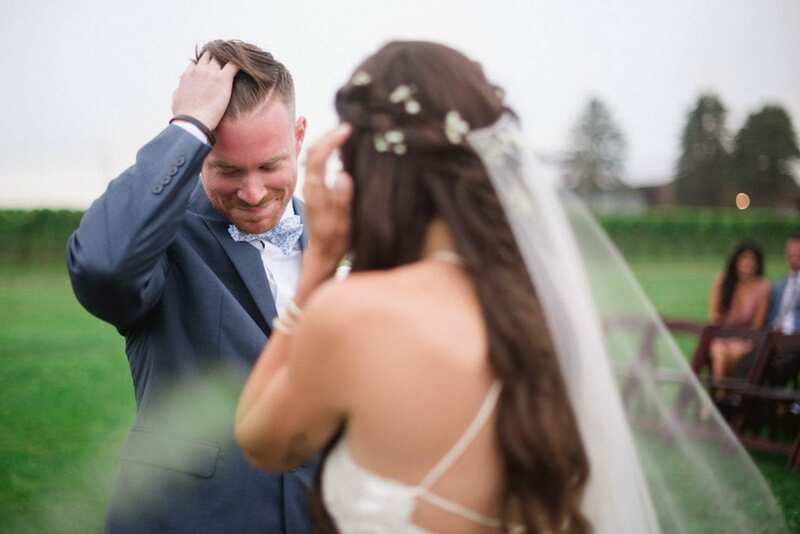 We kept in touch afterward, and they honored me wanting me to be their wedding photographer for their wedding in the United States. 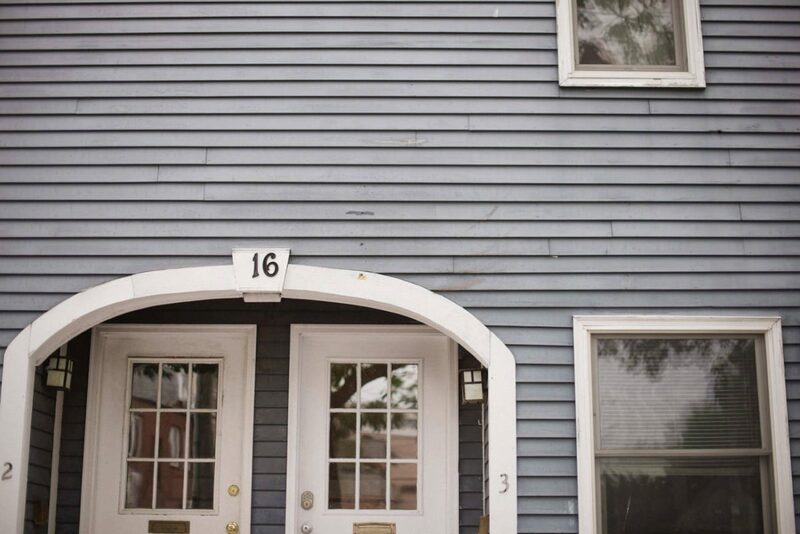 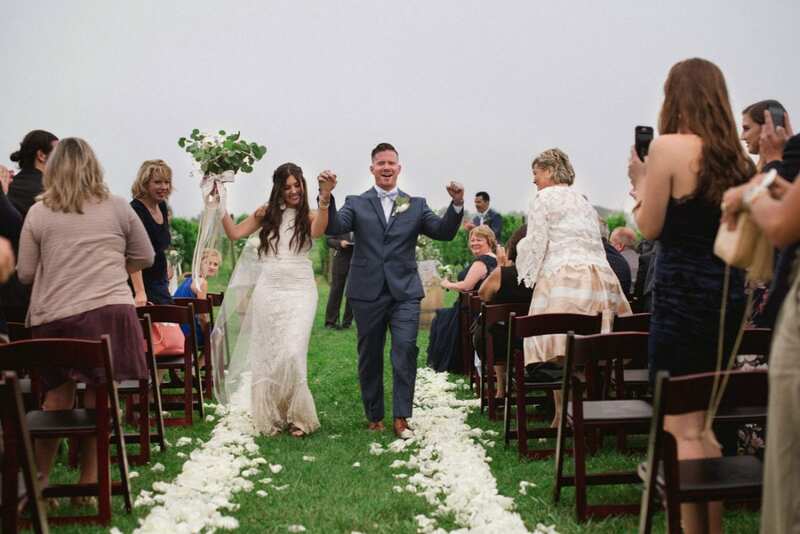 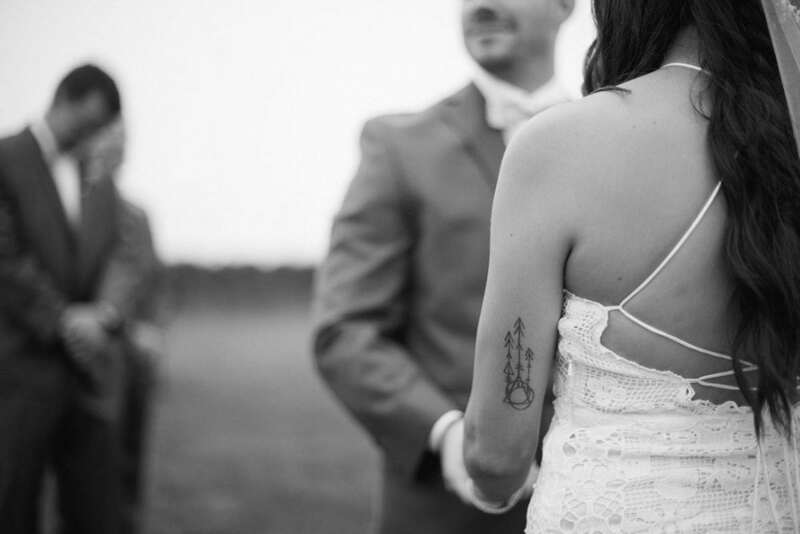 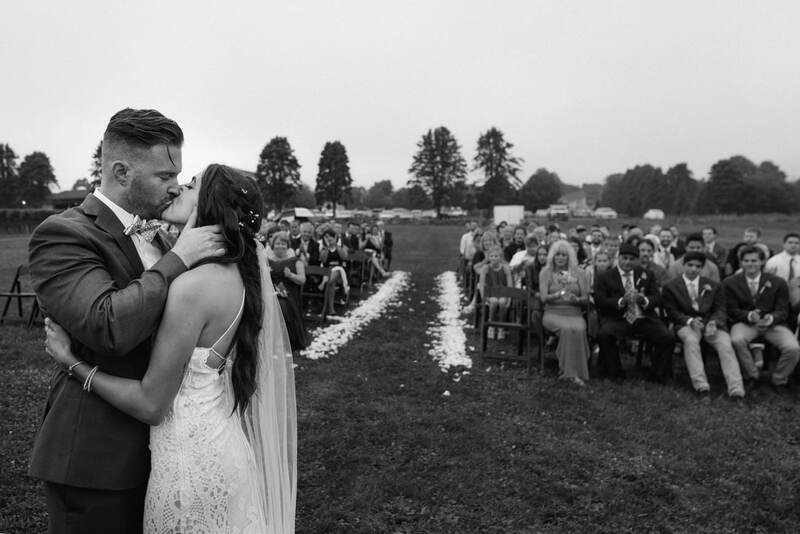 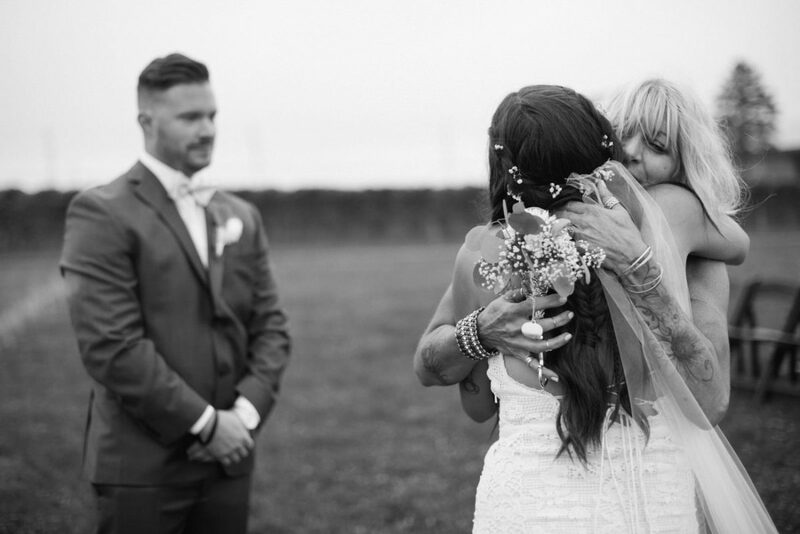 The couple lives in Boston, but they had their wedding celebrated in Newport, Rhode Island. 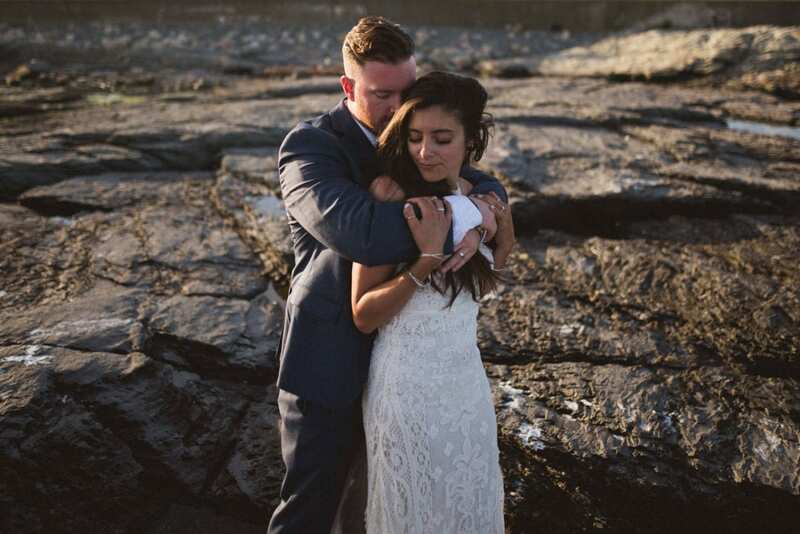 I flew from Italy to Rhode Island to shoot their wedding, and it was one of the coolest experiences in my life! 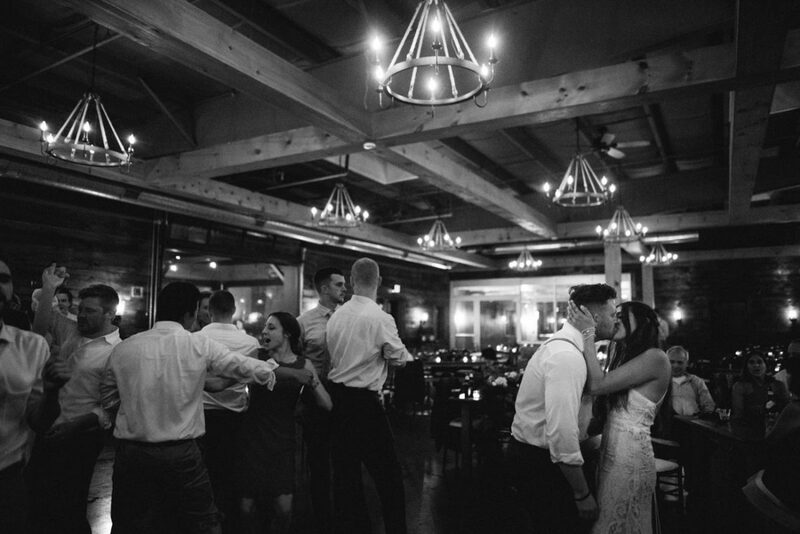 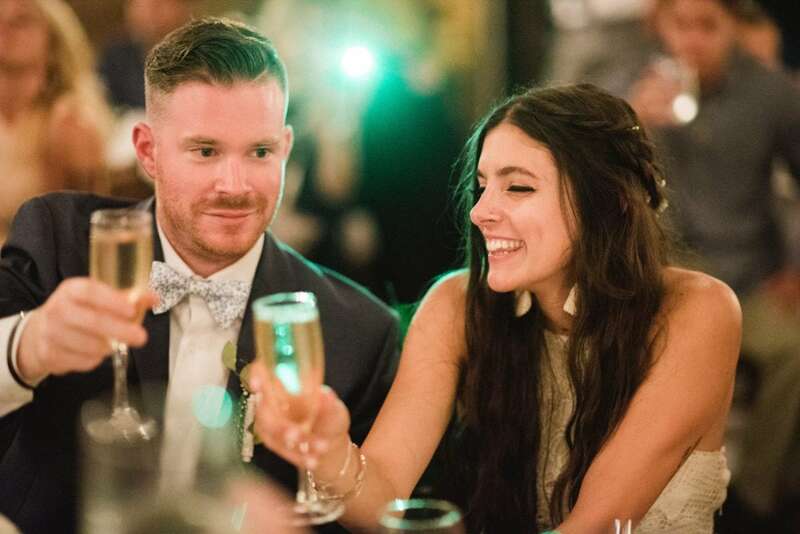 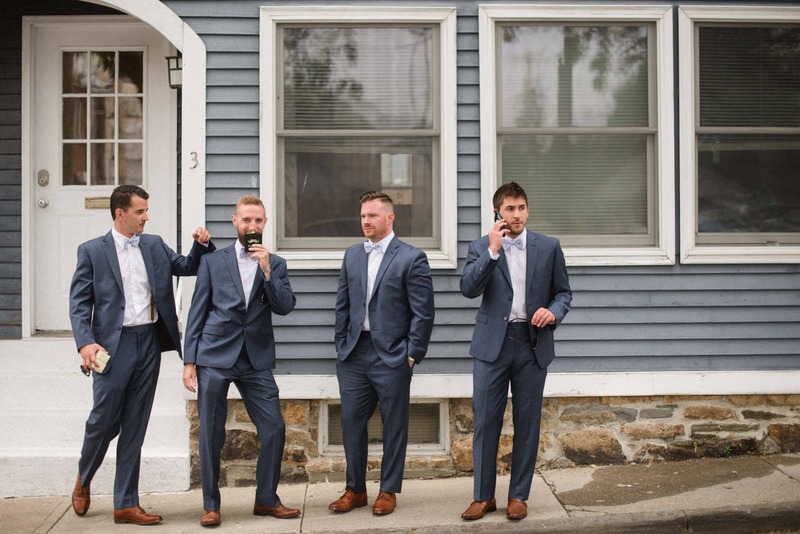 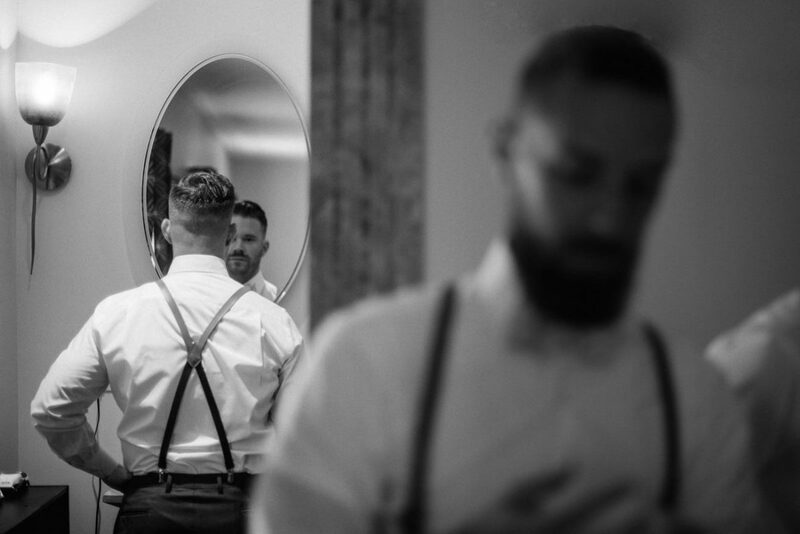 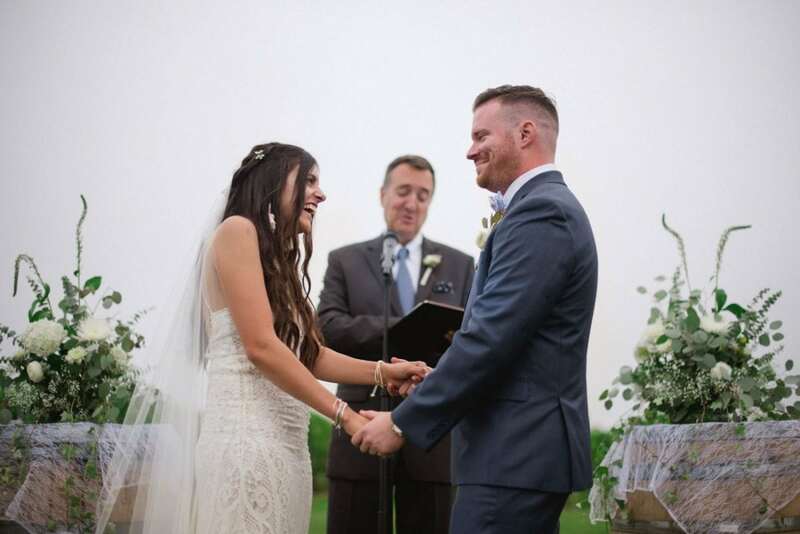 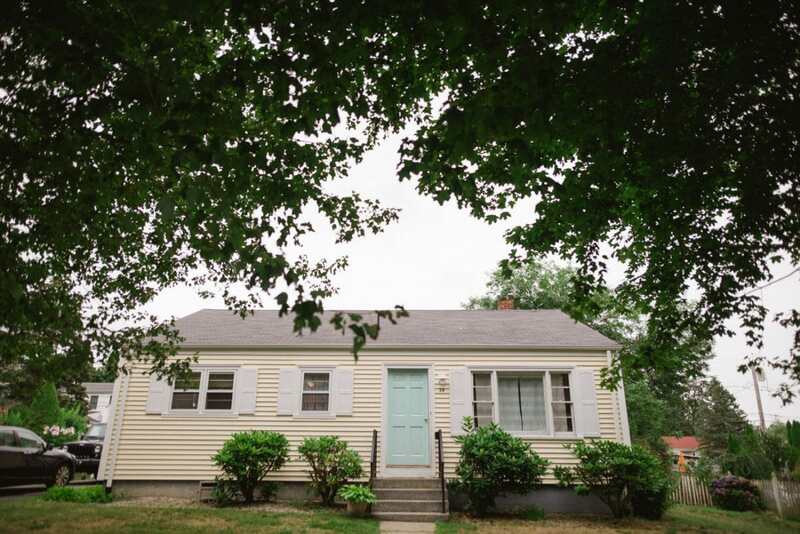 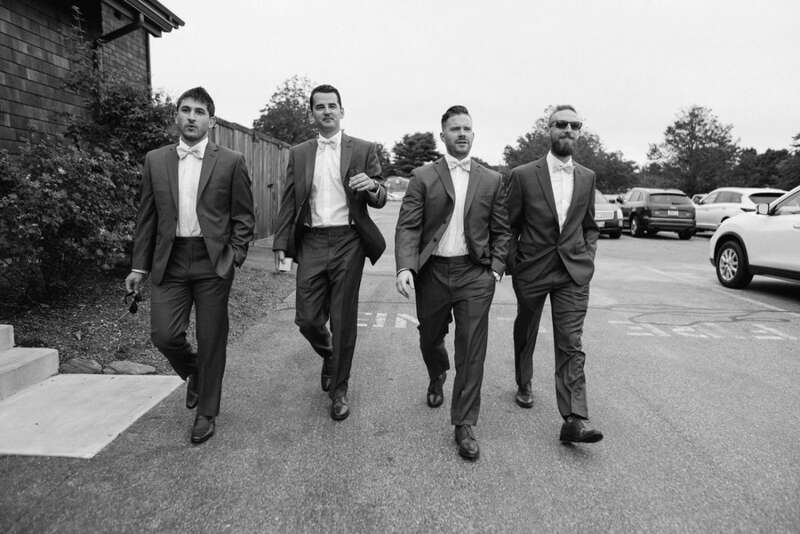 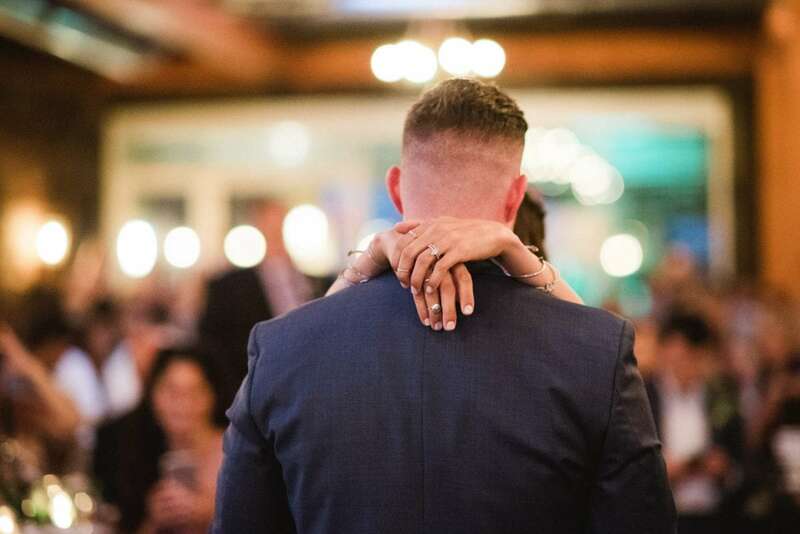 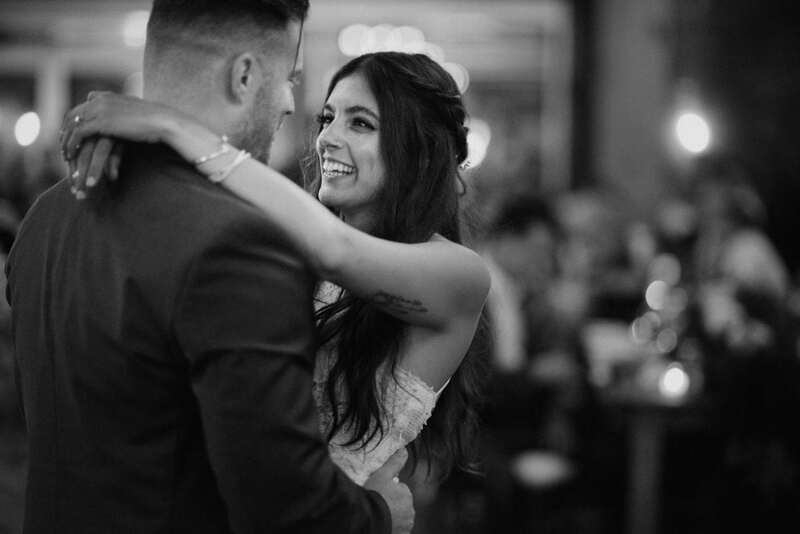 I really connected with Chris and Kasey, and I loved their Rhode Island Wedding. 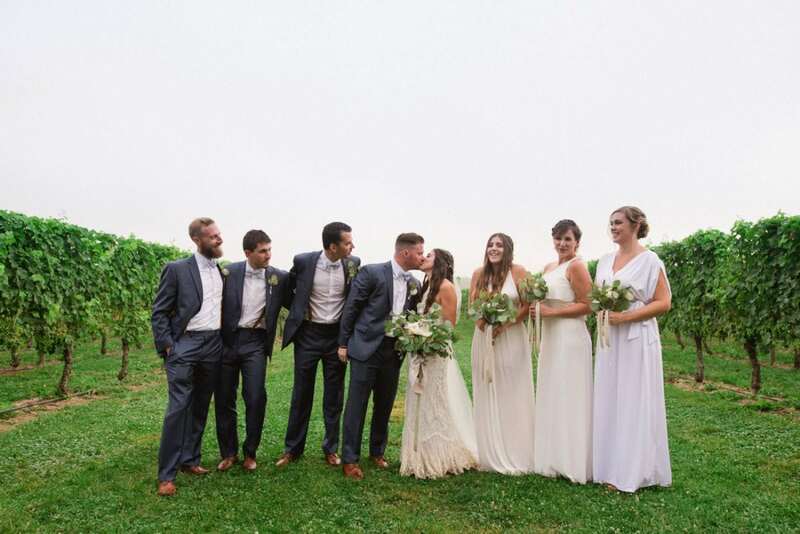 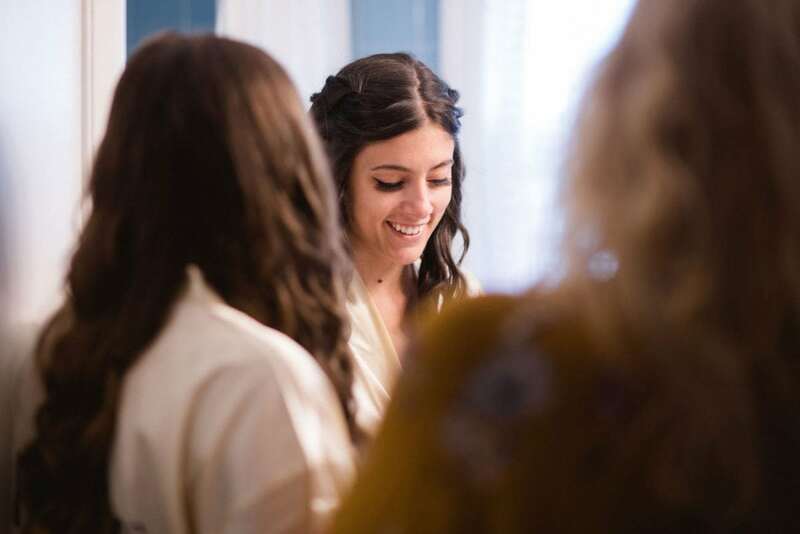 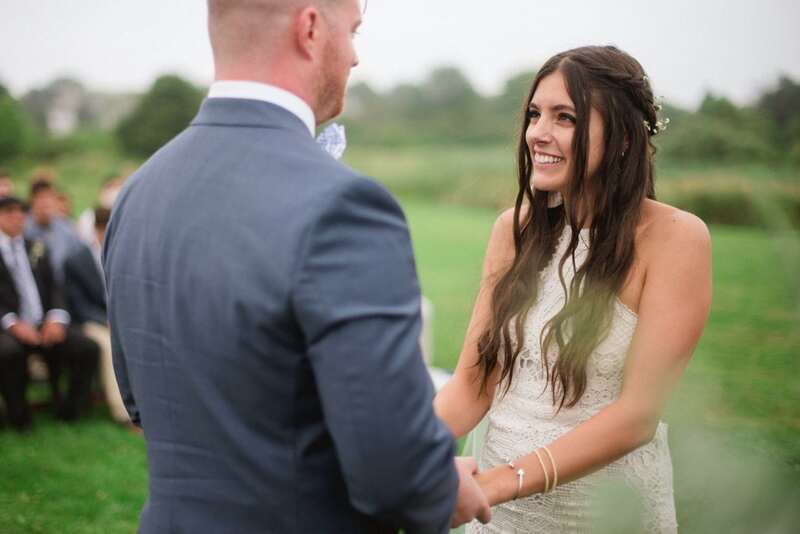 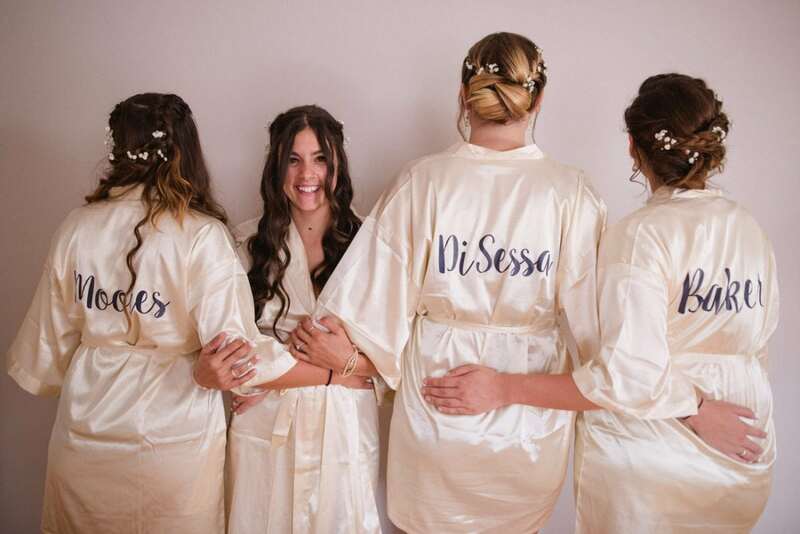 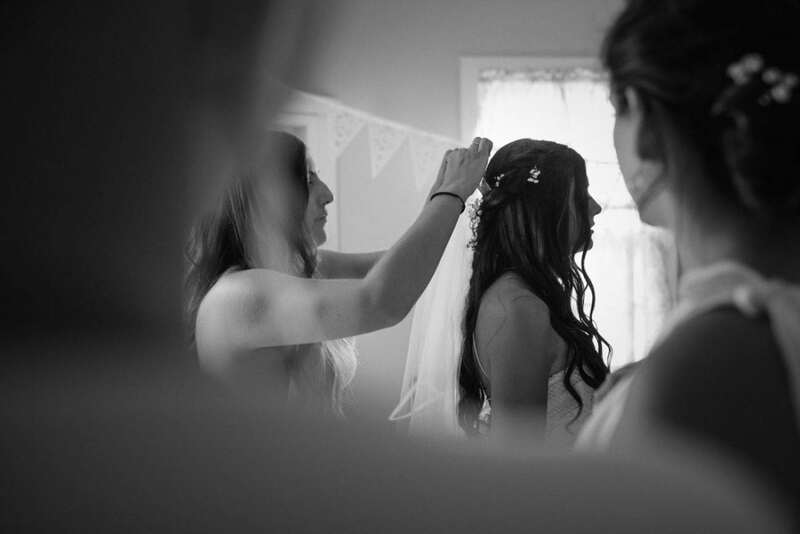 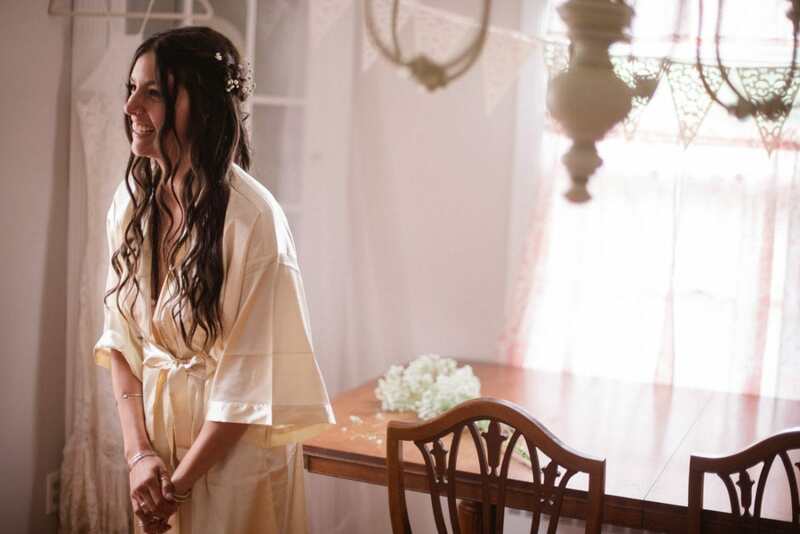 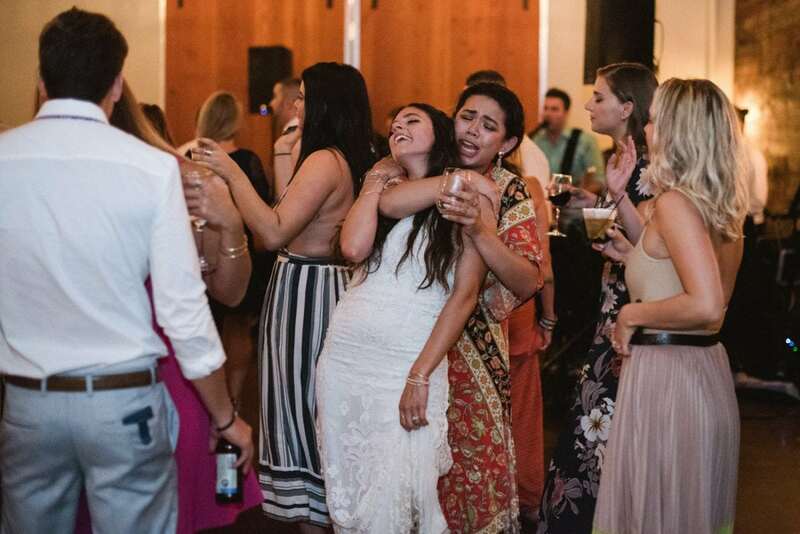 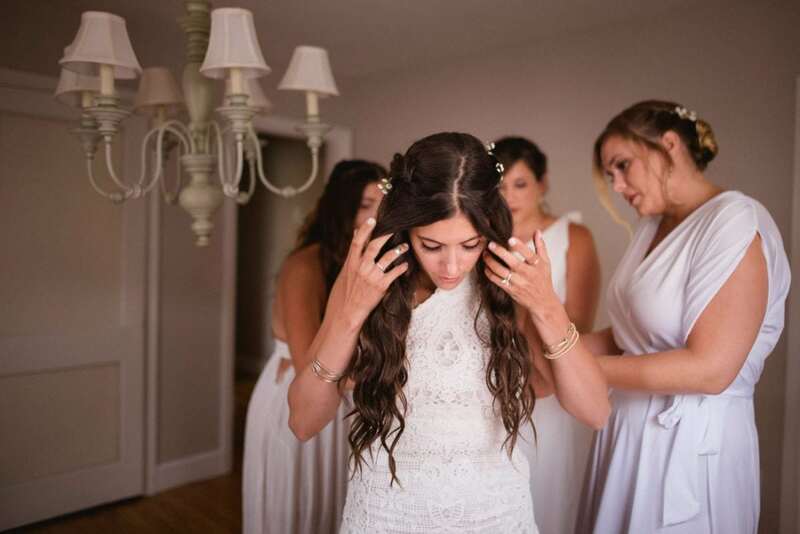 They got ready separately with their best friends in two houses they rented for the occasion – Kasey was stunning in her boho dress, and all her bridesmaids were wearing white dresses as well. 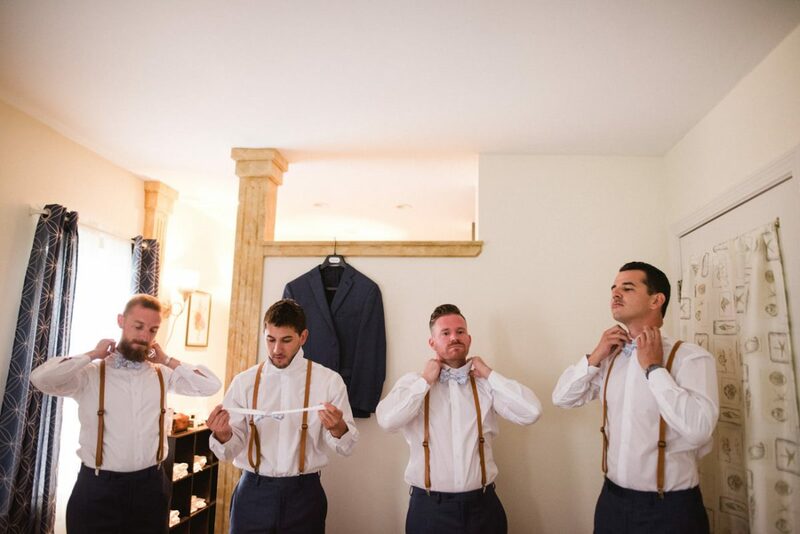 Chris put on his Calvin Klein suit with his friends in another house – a great pre-party there, too! 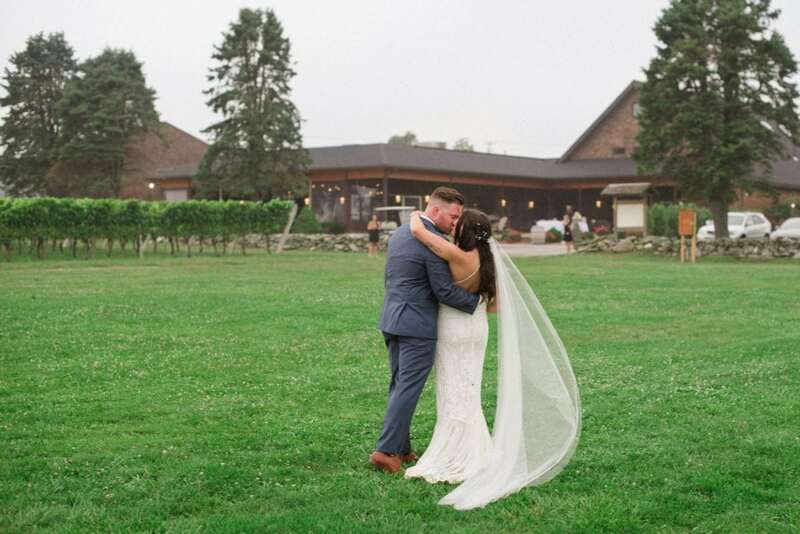 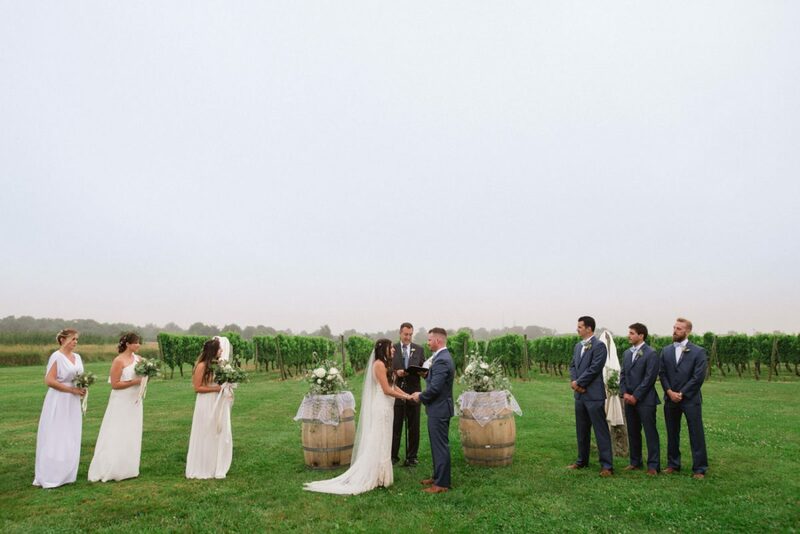 They had a lovely outdoor ceremony in Newport Vineyards, under a soft rain. 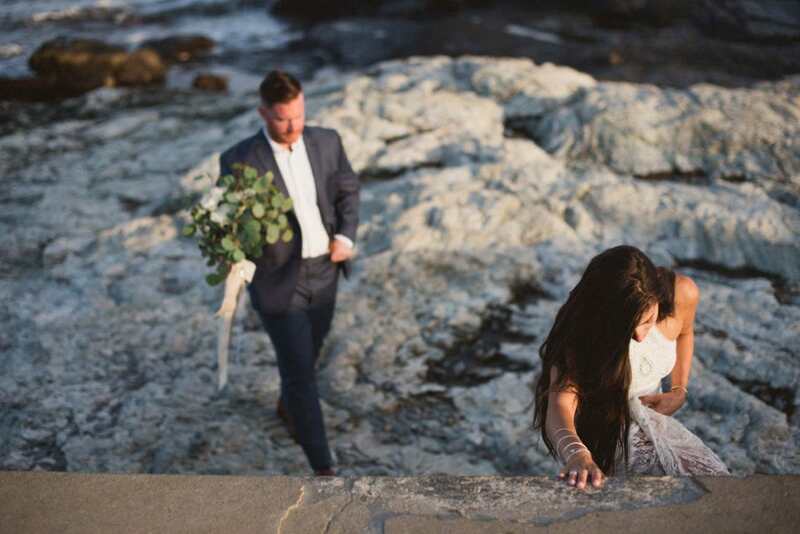 As they got married at 7 pm, we had the couple shooting the next day in front of the ocean – I totally loved them, and I totally loved the boho-hippie style of their wedding! 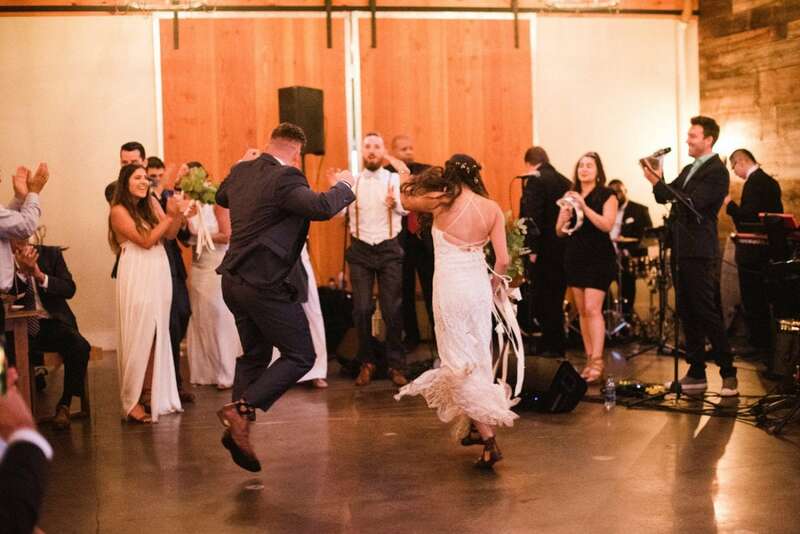 The party went on with the speeches of their closest friends and a huge party: I totally loved the band playing, they were just awesome! 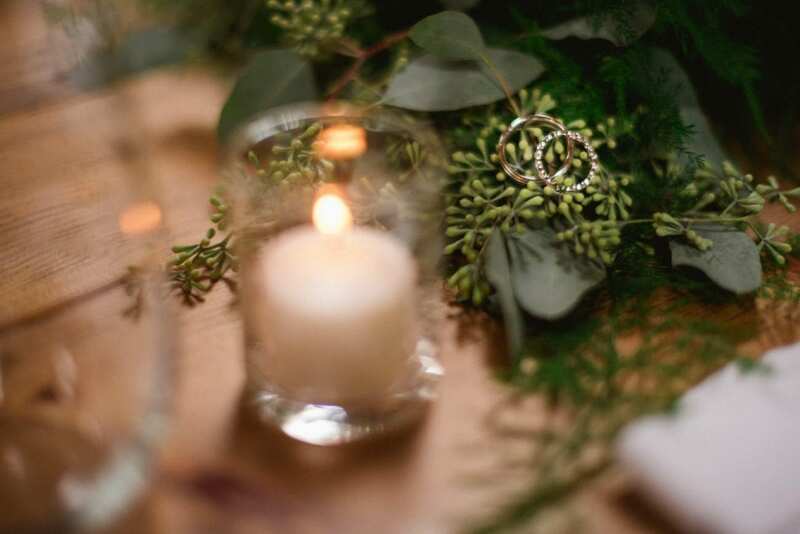 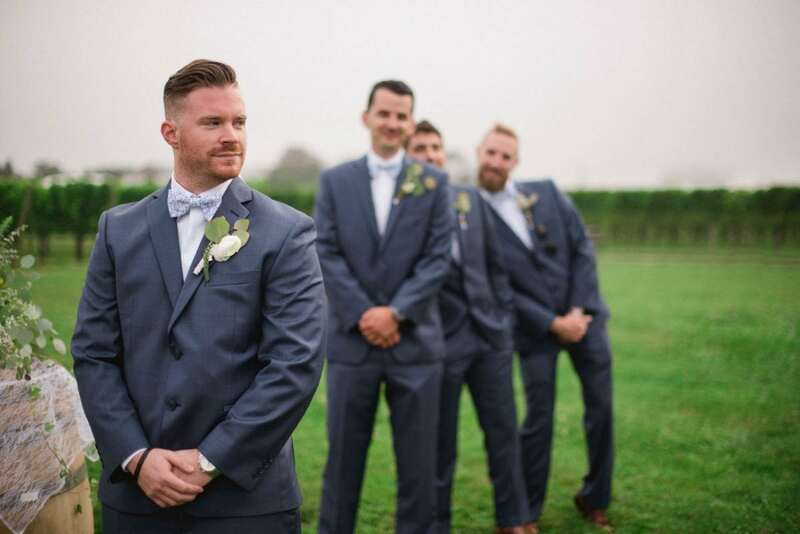 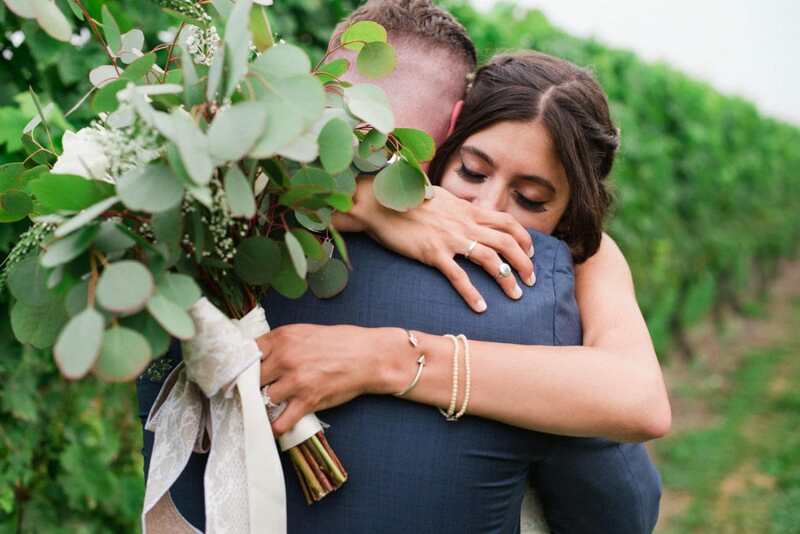 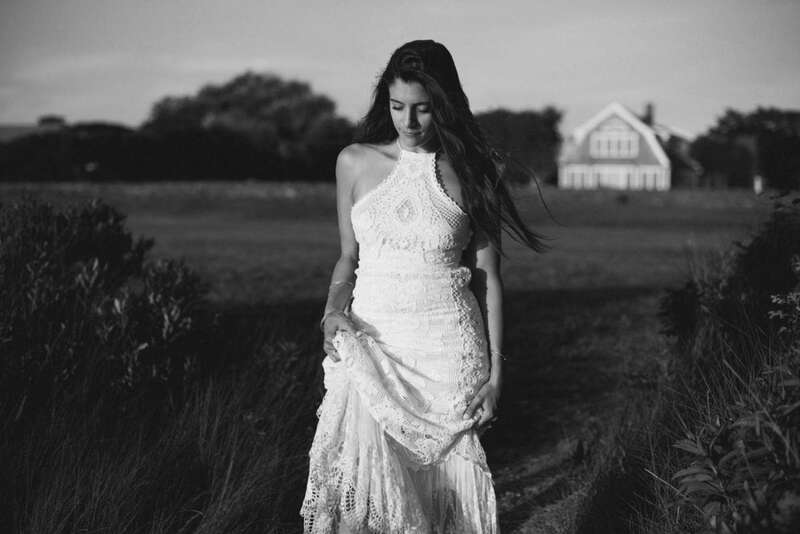 Kasey and Chris’ boho Rhode Island Wedding has also been featured on BohoWeddings, a British magazine collecting all the best hippie-boho weddings around the world!